Section 37(1) says that any expenditure (not being expenditure of the nature described in sections 30 to 36 and not being in the nature of capital expenditure or personal expenses of the assessee), laid out or expended wholly and exclusively for the purposes of the business or profession shall be allowed in computing the income chargeable under the head, “Profits and Gains of Business or Profession”. For claiming deduction of an expenditure under section 37(1), it should be ensured that the expenditure is not in the nature described by sections 30 to 36. The rule is that if an item of expenditure is covered under any of the aforesaid sections, the same cannot be claimed under the residuary section. Capital Expenditures are Not Deductible under Section 37(1). Capital expenditure is incurred in acquiring, extending or improving a fixed asset, whereas revenue expenditure is incurred in the normal course of business as a routine business expenditure. Capital expenditure produces benefits for several previous years, whereas revenue expenditure is consumed within a previous year. Capital expenditure makes improvements in earning capacity of a business. Revenue expenditure, on the other hand, maintains the profit-making capacity of a business. Usually capital expenditure is a non-recurring outlay, whereas revenue expenditure is normally a recurring item. In order to determine whether an expenditure is capital or revenue in nature, the fact that it is a lump sum payment or periodic payment is not important. Section 37(1) expressly prohibits deduction on account of personal expenses. Personal expenses mean expenses satisfying personal needs such as food, cloth, shelter, etc., which are not related to the business. In other words, money expended for domestic or private purpose, as distinct from the purpose of the trade or profession, are not deductible. - In order to claim deduction, the amount should have been laid out or expended in the previous year. The main requirement of provision of section 37(1) is that expenditure should have been laid out wholly and exclusively for the purpose of the business. 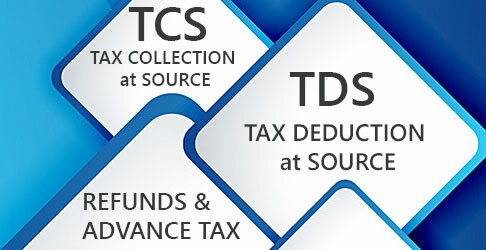 - For the purpose of claiming deduction under section 37(1), expenditure should be incurred for the purpose of the business which is carried on by the assessee in the previous year and profits of which are to be computed and assessed and expenditure should be incurred after the business is set up. 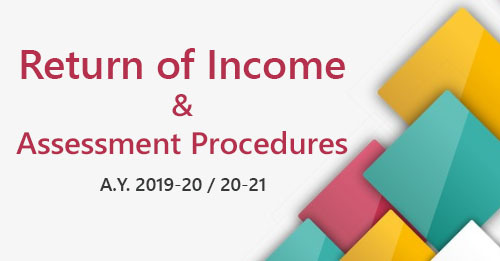 Any expenditure incurred by an assessee for any purpose which is an offence or which is prohibited by any law shall not be deemed to have been incurred for the purpose of the business or profession and no allowance or deduction shall be made in respect of such expenditure. Unlawful expenditure is not allowable as deduction. These provisions apply only to ‘business expenditure’ and not to ‘business loss’ and, hence, loss arising as a result of seizure and confiscation of illegal stock-in-trade is allowable as a business loss against income from illegal business. Litigation expenses in protecting the trade or business. Expenditure incurred for the preservation or protection of the asset or for saving such asset from destruction, dissipation or wastage in the interest of and for the benefit of assessee’s business. Litigation expenses incurred in order to defend or maintain an existing title to the business asset. Expenses on litigation (whether civil or criminal) if incurred wholly and exclusively for the purpose of the business. Legal charges for obtaining a loan from a financial institution. Royalty paid by an assessee to a company for using its logo. Consultancy charges paid for maintenance of software. Environment monitoring expenses and community development expenses. Litigation expenses for making agreements, various deeds, etc. Legal expenses incurred in altering the articles of association so as to bring it in conformity with the changes brought about in the Companies Act. Damages for breach of contract for export of goods before declaration of export policy of the Government. Damages paid to a worker in order to dismiss him in the interest of business. Damages for failure to fulfil a contract in time. Brokerage paid for raising loan to finance business. Stamp and registration charges for the purpose of entering into agreement for obtaining overdraft facilities. Amount spent towards stamps, registration fees, lawyer’s fees, etc., for obtaining loan or raising money by issue of debentures (not shares). Guarantee commission paid to brokers and shareholders for giving personal guarantee to obtain credit facility. Commission paid at a percentage of profits to general manager. Commission paid to selling agents. Contribution to a trade syndicate with a view to preventing uneconomic competition. Contribution to a union formed for opposing nationalisation of assessee’s business. Salary and perquisite to employees. Salary, bonus and travelling expenses paid by a partner-assessee to his staff to look after his interest and to earn income for partnership. Expenditure incurred in obtaining use of trademark, technical information, training of apprentices and technicians. Recurring expenses incurred on imparting of the basic training to apprentices under the Apprentices Act, 1961. Expenses incurred on the occasion of Diwali and mahurat subject to the Assessing Officer being satisfied that the expenses are admissible as a deduction under the law and are not expenses of a personal, social or religious nature. Initial expenditure on the first installation of fluorescent lights is treated as capital expenditure and all subsequent expenditure for replacement of tubes is treated as revenue expenditure and are allowed in toto. Expenditure in respect of commitment charges paid by the borrower with regard to the amount of loan not drawn by him but kept in readiness by the lender for disbursement. Premia paid on loss of profit policies. 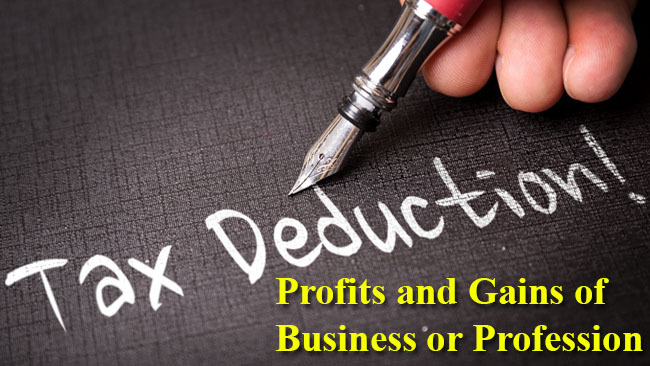 Professional tax paid by a person carrying on business or trade. All expenditure on maintenance of a tea garden including expenditure on the maintenance of an area that has not reached maturity. Deposit made under “own your telephone” scheme [is allowable as deduction in the year of payment and in case the telephone is not installed and money is returned, it is chargeable to tax under section 41(1)]. Forfeiture of security deposit for breach of contract. Expenses on registration of trademarks. Penalty levied for supply of foodgrains not conforming to the contract quality. Expenditure incurred by a surgeon to keep himself up-to-date about the latest technique in surgery. Substantial repair charges on plant and machinery being necessary owing to long neglect of assets. Entertainment expenses incurred on opening of new branches at different places. Expenditure incurred to protect capital asset income of which is assessable to tax. Cash shortage found in business at the end of day. Periodical payment for the use of goodwill. Expenditure incurred on renovation of the living room, bathroom, back verandah, study, etc., of branch office. Municipal property tax chargeable under local tax law of Japan. Expenditure incurred to secure overdraft facilities for the business purposes. Annual listing fees paid to stock exchanges. Expenditure on management of temple in factory premises for recreation of employees. Contribution given under a development scheme for construction of roads around factory building for facilitating the transport of sugarcane to the factory and the flow of manufactured sugar out of the factory. Expenditure incurred for purchase of loom hours. Royalty payable on goods manufactured as a consideration to acquire monopoly rights to manufacture the product. Expenditure on licence fees for the import of capital goods and registration fees of trade mark. Expenditure on valuation of shares. Amount paid in compromising a bona fide dispute and as part of an arrangement for enabling the assessee to continue business. Expenditure incurred by the assessee on replacement of damaged moulds. Expenditure in regard to contribution made by the assessee-company to State Electricity Board towards laying of additional circuit line in order to meet increased demand of company. Expenditure on re-routing of pipeline in order to obtain saline free water for factory. Donation/contribution made by an assessee to any relief fund, such as Chief Minister’s Drought Relief Fund or a District Welfare Fund established by District Collector for benefit of public with a view to securing benefit to assessee’s business . Amount paid by the assessee-company for Flag Day Fund on Government’s appeal. Contribution made by the assessee, running a refinery, to railway department for construction of railway track and siding which are necessary for the purpose of smooth running of business in a profitable and advantageous manner (only expenditure incurred in relevant year of assessment alone is to be allowed). Contribution made by the assessee-company to State Housing Board for construction of tenements for its workers, ownership of which tenements remained with Housing Board. Expenditure incurred by the assessee-company on foreign visit of director and his wife in connection with medical treatment of the director. Expenditure incurred by the assessee on plantations in factory premises and residential quarters of company, with a view to making atmosphere pollution free. Royalty paid by the assessee for user of trademark of another company. The expenditure incurred solely for repairs and modernizing the hotel and replacing the existing components of the building, furniture and fittings, with a view to create a conductive and beautiful atmosphere for the purpose of running of the business of a hotel. Penalty which is compensatory in nature and which is paid for breach of a contract or statute is deductible. Software programme once developed by the assessee cannot be said to be of enduring benefit and expenses incurred in developing such software programme are allowable as revenue expenditure. Expenditure on issue of bonus shares. Harvesting and transportation expenses incurred by the Co-operative Sugar Mills for procuring sugarcane from farmers, who are members of such Co-operative Sugar Mills and who are bound under an agreement to supply the sugarcane exclusively to the concerned sugar mill. Expenditure for improving the performance of existing products is deductible. Expenditure incurred for purpose of sub-division of shares for easy trading of shares in market, is revenue in nature and deductible. Expenses incurred by an assessee for preliminary work for a project (which has been abandoned for some unavoidable reasons) is deductible. Advertisement expenditure incurred by an assessee for building up its brand is deductible. Expenses on replacement of mother board/UPS and expenditure incurred on ERP software/customizing software, are deductible. Expenditure incurred on garden to control pollution is deductible. Damages and penalty paid for transgressing the terms of agreement with the State. Penalty and damages paid in connection with infringement of law. Litigation expenditure incurred for curing any defect in title of assets or completing that title. Litigation expenses for registration of shares. Fees paid for increase of authorised capital. Expenditure on raising equity share capital and preference share capital (may be redeemable). However, expenditure on issue of bonus shares is deductible. Amount paid for acquiring technical know-how which is to be utilised for the purpose of manufacturing any new article and such know-how is to become the property of the assessee at the end of the stipulated period. Amount expended for acquiring a business or a right of a permanent character or an asset which generates income or for avoiding compensation in business. Payments made for acquisition of goodwill. Expenditure incurred for acquiring right over or in land to win minerals (where, however, minerals are already on surface, expenditure incurred for obtaining right to acquire raw material is deductible). Fees paid to obtain licence to investigate and search minerals. Payment made in consideration of acquiring a monopoly right to manufacture a product (royalty payable on the basis of goods produced under the same arrangement is, however, deductible). 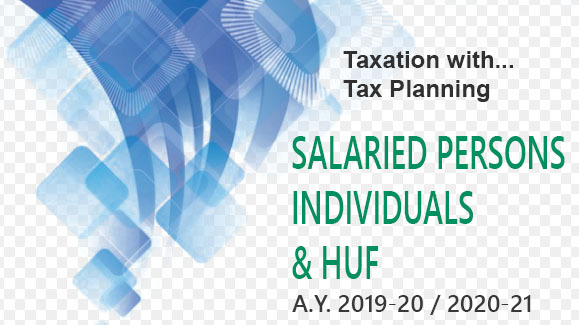 Tax paid by the assessee (who is defaulter by not deducting tax at source under section 195) on behalf of nonresident. Compensation paid to contracting party with the object of avoiding an unnecessary investment in capital asset. Expenditure on shifting of registered office. Insurance premia paid by a firm on life insurance policies of its partners. Amount paid by liquor contractor to police staff and other officer to enable it to make unauthorised purchases and sales of liquor.